Millions of children in the UK are being exposed to dangerous levels of air pollution, a new UNICEF report warns. But we can stop it. The agency released its report this month warning that the UK has failed to do enough about its air pollution problem, and the damage could be high. When looking at population data and overlapping that with pollution data, the researchers were able to see that around 4.5 million children, including as many as 270,000 infants under the age of one, live in areas that are classed as the UK’s worst air quality zones. World Health Organization figures suggest that major cities such as London and Glasgow are among the worst offenders. The UNICEF report finds that nearly three-quarters of local authorities who have the largest population of infants breach safety standards for what are classed as safe levels of air pollution. The EU has specific limits for different types of pollution, from fine particulate matter to nitrogen content, but it’s worth pointing out that London, the UK’s capital, actually exceeded some of the safety limits within five days of 2017 starting, and its 2018 levels are so far only marginally better. As an illustration of why this issue is so urgent, it’s estimated that nitrogen dioxide-related early deaths sit at 23,500 people every year. 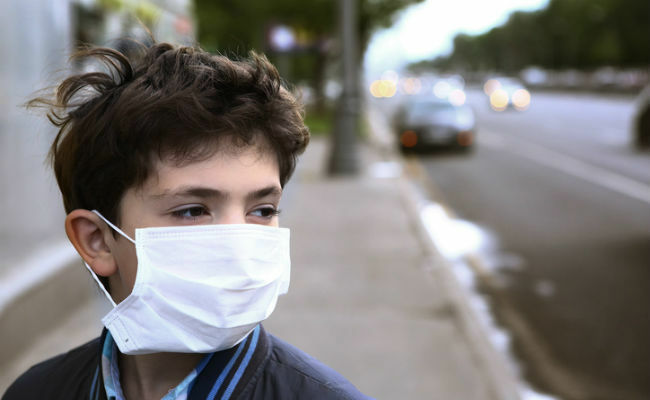 Poor air quality is manifestly harming us, and children are particularly vulnerable. The researchers also found that levels along so-called “school run” roads, where many children walk with their parents to school, were particularly bad. As research has shown, under 10s may actually suffer the brunt of toxic air, because by virtue of their height, they are physically closer to the emission sites of cars and other vehicles. Children who are driven to school actually may suffer even more, due to being in traffic jams for extended periods. The UK is one of five nations currently under referral to the European Court of Justice over its repeated failure to act on air pollution. The latest defeat came in February of this year when the UK’s High Court ruled that the British government’s plan for tackling air pollution, which was issued in 2017, was woefully inadequate. Ministers have yet to modify those plans to a satisfactory degree. The European Court of Justice has the power to impose multi-million Euro fines if states fail to act, as clean and safe air is guaranteed under international law. How can caretakers protect UK children from air pollution now? Until the UK cleans up its act, there are some steps that we can take to safeguard children. One is to walk on less busy roads, if possible, as the pollution levels can fall, sometimes dramatically, if we take just a small detour away from high-trafficked areas. Walking, also, is better than car journeys in situations where there will be a high amount of traffic on the road. Concerned caregivers can check the government’s air quality website, which shows pollution forecasts for the day and can clue us in if air quality is going to be particularly bad. This is very scary . Most of the world has a huge problem with pollution.